Since this amazing piece of flying machinery rocked up on my doorstep it has barely been put down. As an actual aircraft engineer and all round geek, unboxing this product alone was enough to tick all my geeky boxes. The aircraft arrived immaculately packaged with the picture on the front to tease what was inside and hint at the high quality of the product hidden inside. I was, in all honesty expecting just the Quadrocopter, a remote and a set of overly complex instructions, much to my surprise however the box was FULL of technology lovers goodies! Firstly I had a good look over the Quadrocopter, it’s simplicity in its best form, 4 motors, 4 micro gears and 4 blades (plus spares…I’ll invariably need these later!). The micro sized battery fits snugly under the canopy of the copter and in a perfect place so it doesn’t interfere with the flying. Next, the remote….ohhh the remote! What a cool bit of hardware this is. I’m sure if your about to hit buy on this, you’ve probably had one of those tiny barely controllable R/C copters with a frankly useless handset. This one, on the other hand is all kinds of cool. Well built, ergonomically constructed it has EVERYTHING you need and expect to find on a handset costing £100’s. It has a lovely backlit LCD display, which, in conjunction with the digital buttons on your handset does everything, from controlling your trim in each axis, percentage of throttle and shows battery life and radio reception. Very VERY cool! It even displays a little picture of the chopper on the display for you, how good is that! The handset allows for varying degrees of response for the amount of stick you give it, anywhere from 20% (for the beginners, like me!) 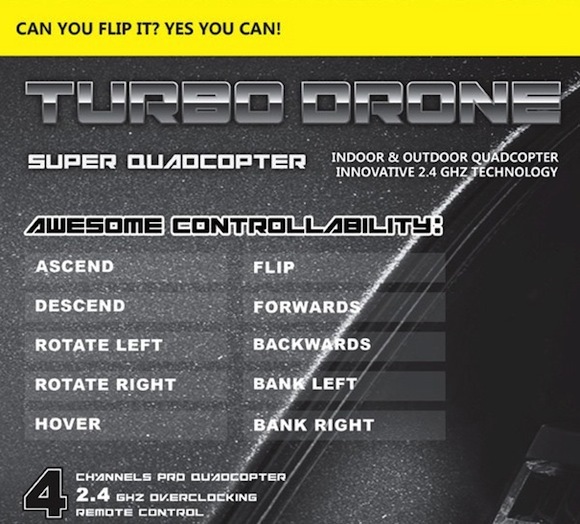 all the way to 100% for some full throttle stunt flying, all with the click of a button. It even flashes red and gives you a reassuring satisfying beep when you get delusions of being Maverick out of Top Gun and hit the 100% setting. 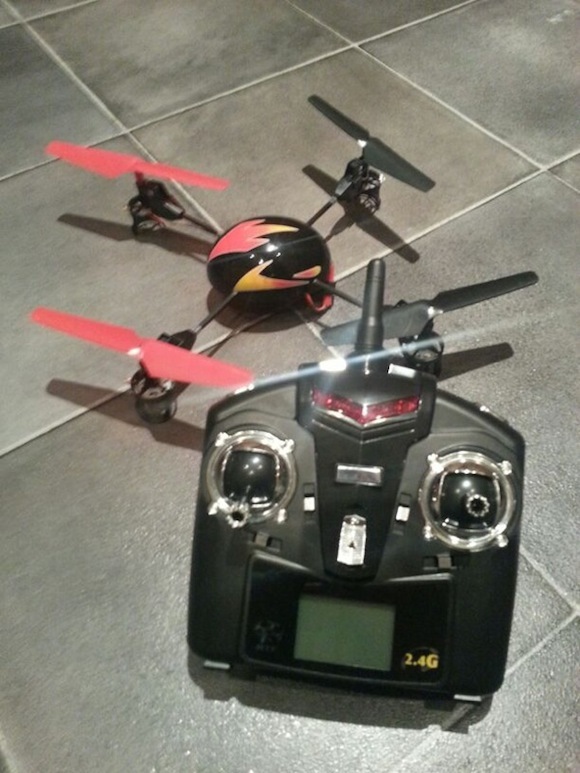 Powering on the Quadrocopter is as simple as connecting the battery to the copter via a two pin plug, easy! Once connected the LED lights on each corner and the one in the middle give you a flash to let you know the direction which it is pointing and that its alive. Next, with a simple click of the chromed “On” button on the handset. 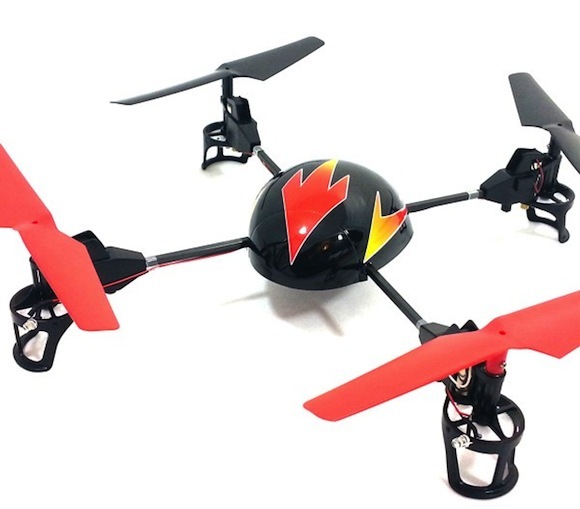 With a series of beeps and flashes it comes alive letting you know its connected with the copter and now….it’s time to go! Set your power level (and honestly, I recommend keeping this at the default 20% for your first flight) and push the throttle forward and you’re airborne! It really is that easy. 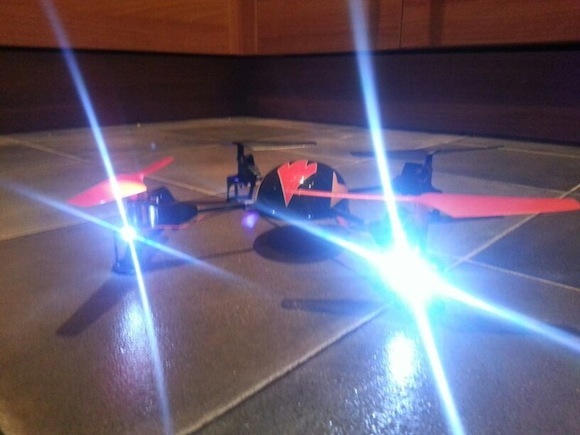 This thing flies easily, hovers easily and forgives even the most novice of fliers. Now the frustrating part, the battery is claimed to last 10 minutes with full tilt flight and takes 45 minutes to charge, but in reality after each 10 minute session of pushing your own skills further and further you need the time to let your nerves recover! Sounds great. Maybe the exact toy for a 65 year old grandfather. I tend to crash little things like these! 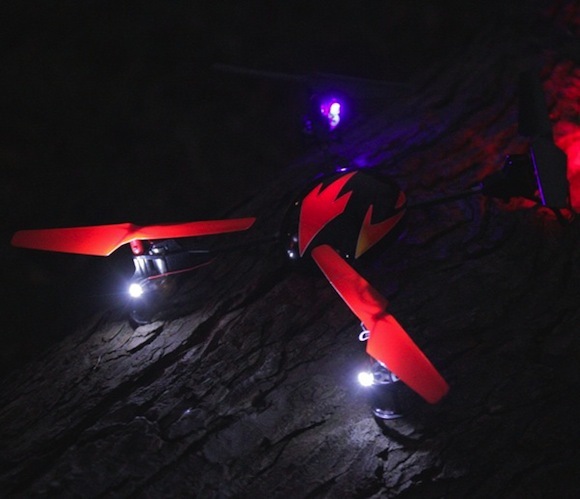 Check out the Parrot Air Drone! http://taichinhnguyenle.com.vn/dich-vu-chung-minh-tai-chinh-thu-nhap/“ >Chứng minh thu nhập top 1 google.